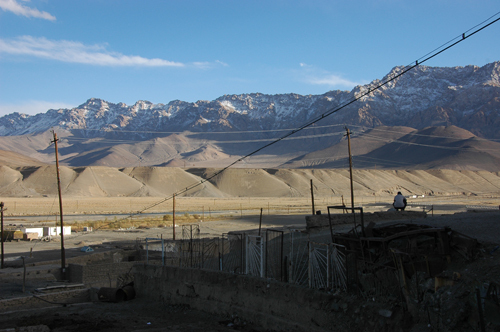 Murgab is the main town on the Eastern end of the Pamir Highway near the Tajik, Kyrgyz and Chinese borders. We arrived in Murgab around lunchtime and our driver took us directly to the police station where we were ushered into a concrete office with a man in full uniform. We spent two hours in the office being threatened with jail before my travelmates gave in and decided to pay the $15 bribe to settle our OVIR (police registration) stamps in our passports. Although our driver had a friend he wanted us to stay with we decided to stay at an official homestay which turned out to be incredibly nice. I slept in what seemed to be a dining room (next to another traveler who I’d never met before) and the other two slept in another large room. 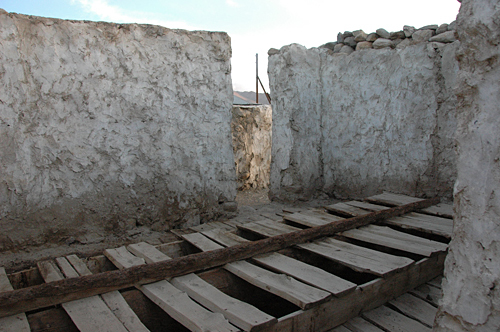 Most people in Tajikistan sit on the floor, hence the lack of furniture. This house had a gorgeous outdoor “shower.” It was more of a sauna, really, with wood floor slats and a large hot coal stove. We were instructed to take one bowl of cold water and one bowl of boiling water, mix them and then pour them over our heads. We hadn’t showered since Dushanbe and it was heavenly. This home also had a outhouse on its property. Although it was only a small shack with a hole cut out of wood floorboards it was much more luxurious than anything we’d used in the past week. 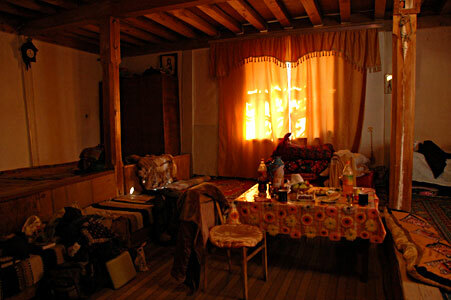 I came down with either a case of food poisoning or more likely altitude sickness?Murgab is at nearly 12,000 feet (3,650 meters) and we drove through passes higher than 15,000 feet?so I spent most of my time curled up on those floorboards. 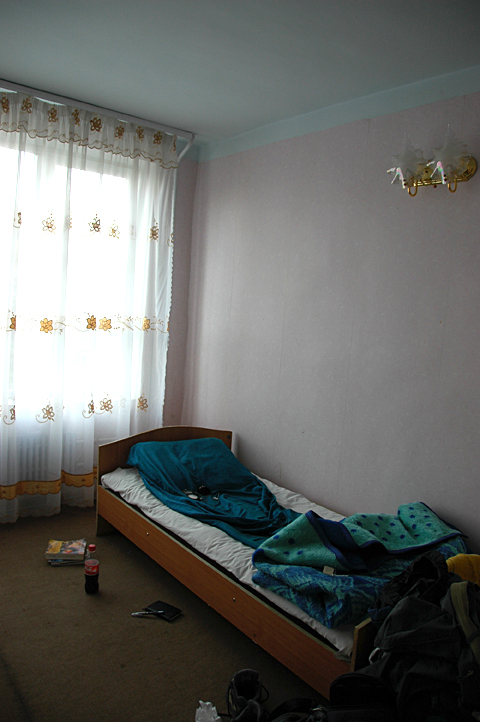 We stayed in town two nights, waiting until my Kyrgyz transit visa became valid. The price included two meals a day and the owner spoke a touch of English. 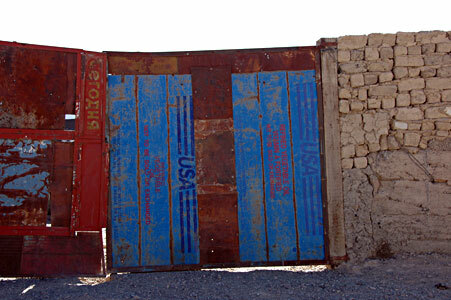 Tajik Police Checkpoint from Megan Kearney on Vimeo. We arrived in Alichur with an hour or two before sundown so I went out exploring. I took wonderful photos of the local kids and the father and daughter I had tea with in their home. Unfortunately, this is the one memory card in my camera I managed to erase by mistake. When I got back to the house I learned that one of my travelmates had been sent out to look for me since I was a woman alone and it was almost dark. Staying with Rahima and her daughters was a great experience. She was a teacher at the town school and a transplant from Dushanbe who spoke passable English! 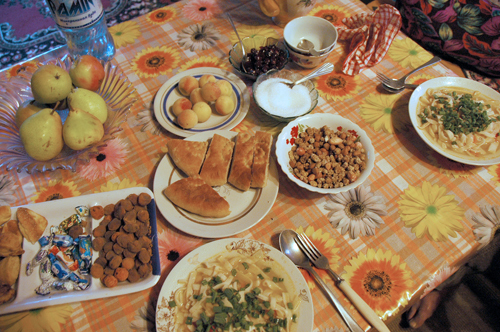 It was wonderful to finally learn about our driver and the Tajik culture without pantomime. I took down Rahima’s address hoping to communicate with her in the future. Amazingly, my friend David was traveling through Tajikistan recently and hand delivered my photos to her and a few other people in the towns along the Wakhan Corridor. You can read about his quest to find the people in my photos here at his blog. At this altitude the nights were bitterly cold and we had drunk a lot of tea. 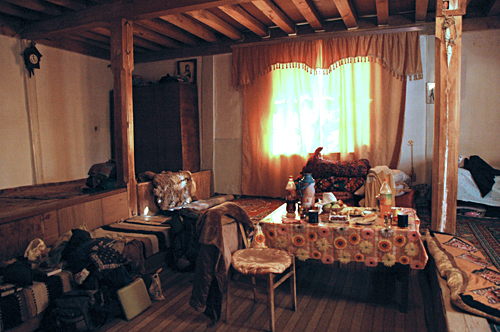 The house was small with a narrow entrance hallway where the driver slept, the main room with the stove and a platform where we slept and a small room where the Rahima and her three daughters slept. The baby was colicky and up most of the night crying but I had trouble sleeping for other reasons?imagine waking up in a dark house at a high altitude and trying your hardest to go back to sleep instead of going to the bathroom. After an hour you give up and put on your clothes, boots, coat, hat and gloves. Once you find your flashlight you make your way outside and navigate the frozen dirt path to the public toilets a few doors down. You have to hold your flashlight to make sure you don’t step through into the pit (see the photo below) while looking out for any animals or neighbors. Although there are a few official home stays that are approved by a Tajik organization we spent most of our nights on the road in the Wakhan Corridor and Pamir Highway with our driver’s friends. 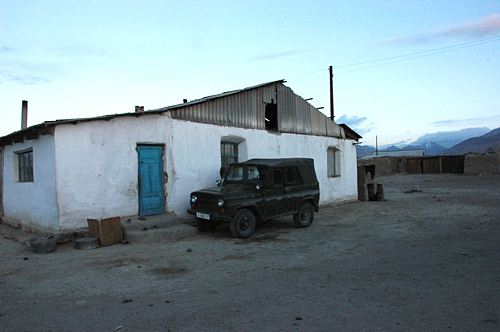 Navabad was the first place we stayed after leaving Khorog. We don’t know if we were actually in Navabad but it was the closest mark on the map to where we suspected we were. These towns aren’t written up in any guide books or on their maps and I was very glad that I bought a detailed map of the Pamirs from the Swiss embassy. We arrived at dusk and spent the remaining daylight outside on the road watching the farmers walking home from their fields and playing with the children that quickly discovered us. 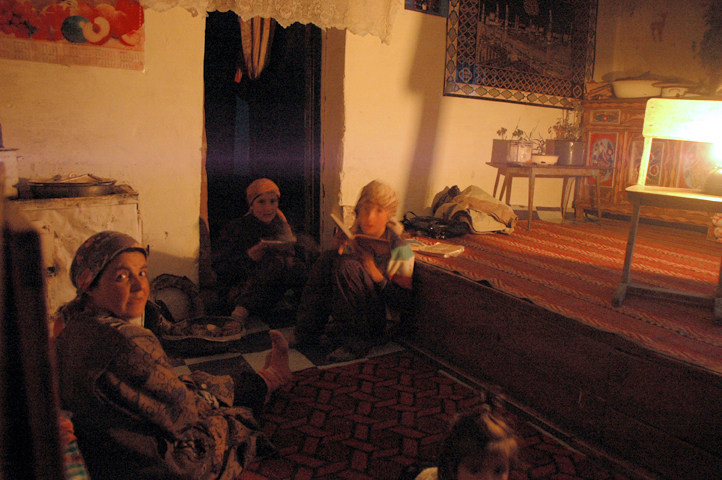 The house we stayed in had no electricity or generator, which seemed to be the norm for the Wakhan Corridor. After dinner we sat around a low table with only one candle while a grandfatherly man wandered in and spoke to us for twenty minutes in a language we didn’t understand. Without electricity and only an old man and a crossstich Lenin to entertain us we were in bed by seven. We paid our host what we thought would be appropriate and were fed breakfast (stale bread and tea) and dinner (noodle soup). One of the two guys I was traveling with in Tajikistan flew into Khorog a day early and met me at the airport. He had walked, but a nice petroleum businessman from South America befriended me on the plane and offered us a ride in his fancy SUV. Apparently when my friend arrived he simply walked down the main street with his backpack until a little woman named Gulnara grabbed him, led him to her house and started feeding him. With no real hotels in town things like this just work out. Our adopted mother was delighted to see more people and immediately began fussing over us. The house was uphill from the main street through a small dirt alley about 6 feet wide. 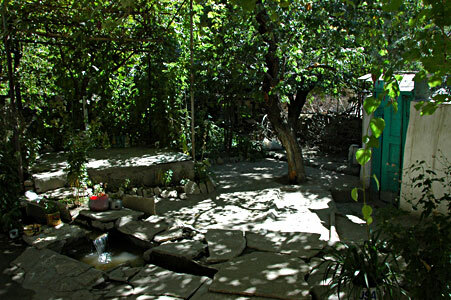 The street was lined with high walls and her bright blue door opened up into a small yard with a stream and pear trees. At the back was an outhouse next to the goat pen. This and the stream would prove interesting when going to the bathroom at night and I learned quickly to turn down tea after dinner. Our other friend arrived the next day and the two men were given bedrolls on the platform but I was given the honor of the bed in the corner. My back would have much preferred to sleep on the floor but I couldn’t be rude. It was an interesting place to stay and since we didn’t speak Russian and Gulnara didn’t speak any English we just paid her a random amount when we left. Three people at that price should have been a pretty good amount of money for the family. She was cooking all the time and made hand made potato fritters. When we ate in the market (to see what it was like) the woman felt bad about her cooking and I had to eat some of both of the guys’ dinners to keep up appearances. Although she was a good cook for the region it was at this point that I pretty much lost all interest in food. I just could eat any more of those same three dishes. Not only did Gulnara make sure we were fed but she also dyed my eyebrows (without asking me first) and made her granddaughter wash my hair. Now that’s customer service! It took me all day to get from Samarkand, Uzbekistan to Dushanbe, Tajikistan. The trip through the mountains was beautiful and you can read more about it here. 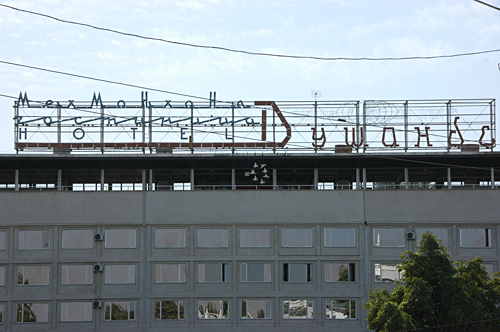 The only real hotel in Dushanbe at the time was an old Soviet monstrosity and it took a bit of pressure to free up two “cheap” $10 rooms. At the end of each hall was a woman at a desk in charge of keys. She was often sleeping or watching TV instead of watching the keys and gave me disapproving looks when I slept in, as it disrupted her schedule. 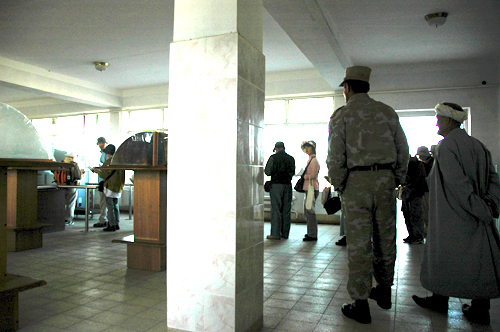 Tajikistan has a number of rules for travelers including the need to register the police within three days of entering the country. The person I traveled with from Uzbekistan tried to register at the appropriate authority but was told to register at the hotel. We did but then ran into trouble when we got to the other side of the country and were told we were only registered for the time we were staying at that hotel. It all came down to bribes in the end. The price was quite high for a room with no bathroom and no breakfast. It was also interesting that I paid $10 for my bed in a 2-bed room and my travel partner ended up paying the same price to share his room?it was priced per bed, not per room. This was the only hotel I slept at during my two weeks in Tajikistan?as far as I knew there were no hotels in the other towns I visited, where I stayed with local families. The home stays proved a much more valuable insight to the culture than this hotel, where I was invited to karaoke with French military wearing blue camouflage hot pants. Not too long ago I was asked to participate in a contest sponsored by the French Tourism Office of Martinique. The idea was to have 25 bloggers write a 500-word story about their “most exciting, astonishing, funny, special holiday experience.” Once I confirmed that they wanted a story about my vacation and not my favorite Casamir Pulaski Day celebration I agreed to participate. My tan from Africa has faded now, why not win an all-inclusive trip to Martinique? Writing only 500 words is not easy and my first attempt, about traveling overland from Ethiopia to Kenya, was closer to 2,000 words. 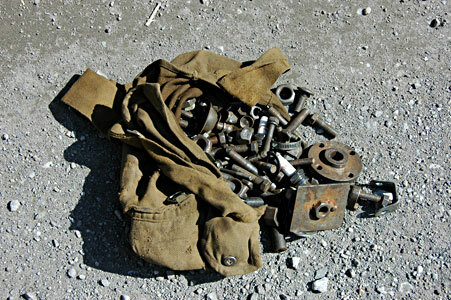 I realized that the story would have to be about one small, but interesting, thing that happened to me on the road. 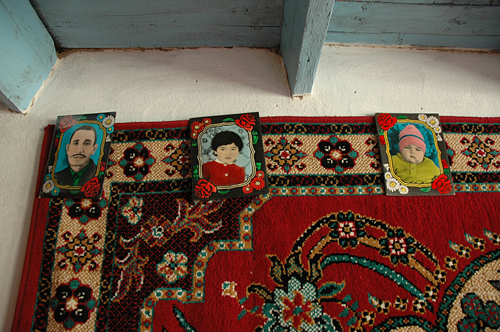 My final story turned out to be about my time spent with Gulnara in Khorog, Tajikistan. 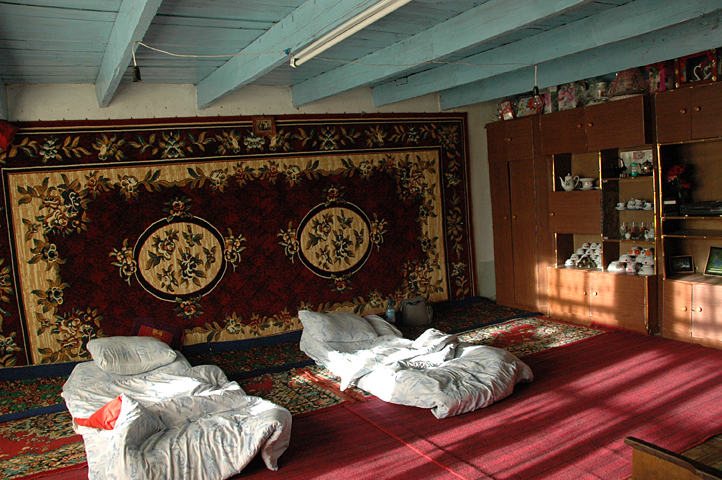 Gulnara owned the house we stayed in and took pleasure in taking care of us. 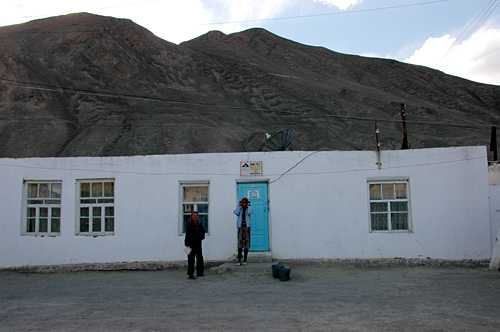 Not only did she feed us three meals a day but she stuffed our bags full of pears to bribe the guards along the Pamir Highway. And when Dan and Vincent, my fellow travelers, left to do errands she seized the opportunity to dye my eyebrows and wash my hair. The contest runs until February 28th and I need all of the votes I can get. As I suspected, this is a popularity contest and the person who wins will be the person who rallies the most support. I’m competing against a few bloggers with a large daily readership of sites that focus on celebrities and sensationalist news. Despite that, some of the stories on there are interesting and you may find another worthwhile travel blog to follow if you poke around the submissions. 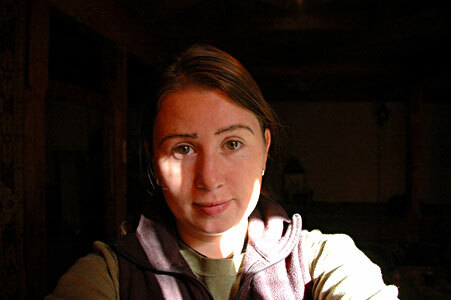 To vote for my story, Spa Day in Tajikistan, go to this page and look for my story. The order of the stories randomly rotate so I can’t tell you which of the five pages it appears on. However, as long as it remains one of the highest vote-getters it appears on the right hand side of the page in the “best of” sidebar. If you need a little extra incentive to participate one voter will also be rewarded a trip to Martinique. Please feel free to pass this link along to anyone who may be interested—I appreciate all of the support you can give me! I have already posted to a number of travel forums but welcome any blog mentions or Facebook notes you can manage. and China won’t let me in. Tajikistan started and ended on bad notes (waiting for permits in Dushanbe… almost getting into a fight with the militsia in Murgab and projectile vomiting at 3,800 meters), but everything in-between was completely amazing. I flew on a tiny 17-seater plane with no computers on board. 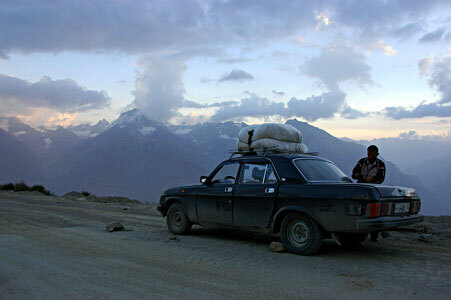 We soared through mountain passes and followed a gorge marking the Tajik–Afghan border. Two days later, after my homestay owner, Gulnara, cornered me and dyed my eyebrows, we left with our Pamiri driver in an old army green Russian UAZ jeep for Ishkashim. Because the weather was perfect we drove the route through the Wakhan Corridor to Murgab in three days instead of our planned four. Along the way we stayed with our driver’s friends and ate more cabbage soup than I felt comfortable with. 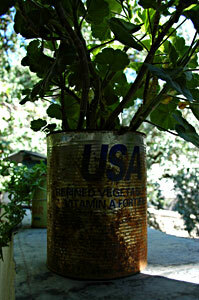 I blame the cabbage soup and lack of actual Coca-Cola for my demise into projectile vomiting our second day in Murgab. By then we kind of had electricity in the form of a generator, were all more than ready for some “civilization.” It’s pretty bad when Sary Tash, Kyrgyzstan looks like civilization. Along the way we heard from one of the few others travelers we met that the Chinese border had been closed for it’s national holiday. We refused to believe that they would close the border for ten days—just think of all of the scrap metal they’re missing out on importing! Unfortunately, it turned out to be true although the re-oppening date has still not been confirmed. This morning I called the U.S. embassy in Bishkek who told me they have no information on the Chinese border and suggested I call the Chinese embassy. When I called the Chinese embassy and asked if they spoke English I was immediately hung up on. Besides wasting my time (and money) as Tibet gets colder, this border closing is a major visa problem for me. I bought a Kyrgyz transit visa in Dushanbe that is only valid from October 2nd through the 6th—during which the border is closed. I have head rumors that the border will open on the 8th, 9th, 10th or 11th, so my visa will be invalid well before I can cross to China. I went by a travel agent today to ask about flights to Urumqi. The agent started with “There are two airlines flying to China. One of them has just been arrested so your options are limited.” After a lot of searching it turned out that there were no seats on any of the flights until late October, let alone by this Friday so I can not leave Kyrgyzstan by air. I’ve thought about going through Kazakstan, but by the time I get to Bishkek, apply for a Kazak visa and take the train from Almaty to Urumqi I would be better off sitting in Osh and waiting for the border to open. So, here I am in Osh… again. I’ve heard there’s a resturaunt that serves pizza. I just don’t know if I can stomach any more shashlick, plov, lagman or gulash after two months of the stuff. I’m certainly staying away from any cabbage soup. I don’t know when China became a promised land for me but I’m dying for some KFC. 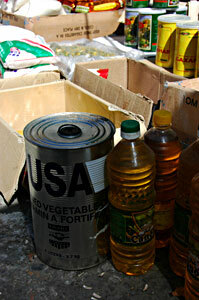 There’s a lot of US Aid goods being recycled in Tajikistan. I’m not sure if they were given to Tajikistan or Afghanistan but it’s nice to see my tax dollars at work in this part of the world. By my estimate it would be four or five days before I got another chance to take a shower. I was waiting in the small Pamiri town of Khorog, Tajikistan, to find a driver to take my friends and I across the Pamir Mountains by way of the Wakhan Corridor bordering Afghanistan. We were sure it would be worth all the frustration in the end but after two days of negotiations weren?t any closer to finding a driver who felt like taking us. I was dirty from walking through the dusty streets and it was only going to get worse when we left town to drive through dirt roads and stay in homes with no electricity or running water. 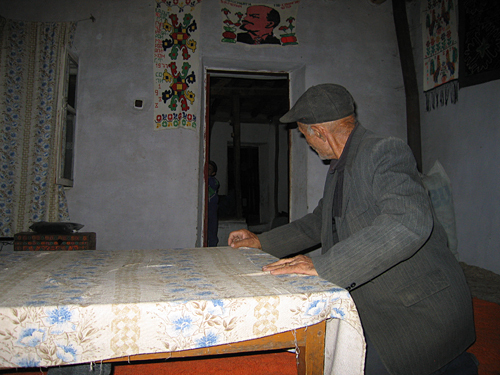 When we arrived in town the previous day we were ambushed by a sweet little woman named Gulnara who pulled us up a small dirt track and into her home. We didn?t speak Russian or Tajik and she didn?t speak English but it was made clear that we would be staying with her. She had a traditional house centered on a large square five-pillar room with raised platform seating and a skylight framed by four rotating concentric square insets. Outside was a large grassy courtyard filled with pear trees, a small creek, a few goats and an angry dog. When my two travel companions left in the late morning to scour the market, once again, for a driver I decided it was the perfect time to wash up. 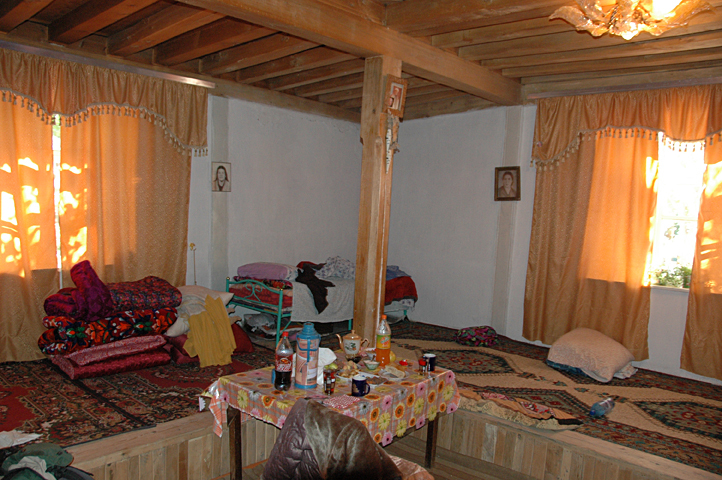 The only problem was that Gulnara?s house had a lot of character but no shower or bathroom. A three-sided wooden shack next to the goat pen served as the toilet and I wasn?t confidant I wouldn?t get more dirty than clean washing in there. I decided that washing my hair would still be possible and I headed for the creek. When Gulnara saw me collecting water from the creek she ran toward me with a horrified look on her face and snatched the bucket out of my hands. Her granddaughter ran into the house with the water and gestured for me to wait. After a few moments Gulnara motioned me into the house. I noticed the small stick in her hand but before I could register what was happening the stick was near my eye?too close to put up a protest without risking a horrible accident. I stood still and waited while she moved the cold, wet stick over my eyebrows. She painted her eyebrows as well and placated my worried expression with a pat on the back and the motion to wait. After she left I peeked in a mirror to see what sort of damage had been done. Although I did look like a clown with my new eyebrows she hadn?t gone as far as to give me a unibrow, as is customary in Tajikistan. For five long minutes I sat, wringing my hands, waiting for Gulnara to appear. I could hear the water coming to a boil in the next room when Gulnara pulled me outside where we washed our eyebrows together. Hers looked the same as before?black! ?and I was worried until she handed me a mirror and I saw my slightly tinted eyebrows. With a newfound trust I followed her into the house while all the remaining men were being ushered out. 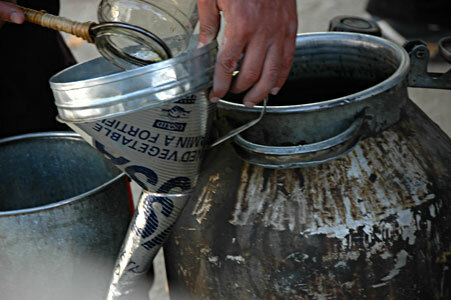 The kitchen had been prepared with a stool topped by a large metal cooking pot. The granddaughter struggled to pour steaming hot water into a bowl at her feet while Gulnara began to pull at my t-shirt, perhaps thinking I wanted to strip down and wash in the family kitchen. Confused, she ran into the other room and came out with her own ruffled nightgown for me to wear. She just couldn?t understand why I would keep my shirt on! Finally I kneeled over the pot and the little girl began pouring warm water over my head. Quickly grabbing my shampoo, I lathered up before Gulnara had the chance to order the poor girl over my head again. The water felt wonderful and I knew my clean hair would help to get me through to the next week. Once I accepted her hospitality I was treated like family. Gulnara got to pamper me like a daughter and I got to keep my clothes on?everyone was happy. 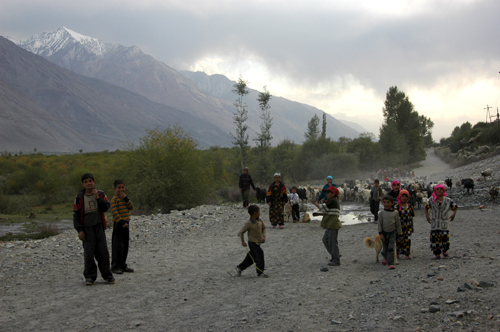 Crossing over from Uzbekistan to Tajikistan was relatively simple—It was one of the least busy borders I’ve ever seen. A German guy named Vincent whom I met at my hotel was heading to Dushanbe as well and decided to tag along with me a day earlier than planned. 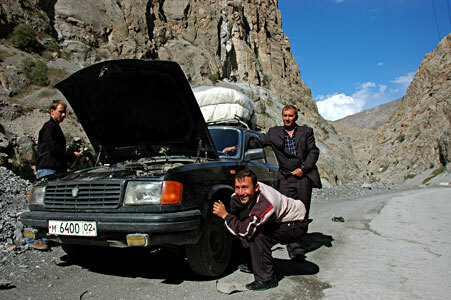 I was happy to have the company and a possible partner to share the car costs along The Pamir Highway. We took a minibus to the border post which. The driver asked for 2,000 each but I emptied my pockets, showed him the 1,400 or so I had left and shrugged my shoulders—I love a country where you can pay what you have in your pockets. It was a quick ride to the border where we were escorted in front of the handful of babushkas waiting. Most guards are so bored that they will do anything just to get a look at your passport. This got us to the front of the line and into an empty border control building. The army guard actually asked me to take a photo of him (I didn’t have my camera out) before a group of 21 Japanese daytrip tourists waltzed into the building and lined up in front of us. The guard wasn’t up for an audience (usually taking photos at borders is a big no-no) and he wasn’t able to get the two of us in front of the Japanese. We loudly complained about tour groups until the last man in line struck up a conversation in perfect English. He entertained us with a bag of magic tricks he brought with him, which was a really great idea for dealing with all the begging children when traveling. I was nervous about the crossing because Uzbekistan is notorious for searching your bags. If any money above the amount declared on your customs for is found they usually ask for a bribe to let you off. Vincent and I waltzed through as if we had no bags at all and crossed the no man’s land before they could change their minds. 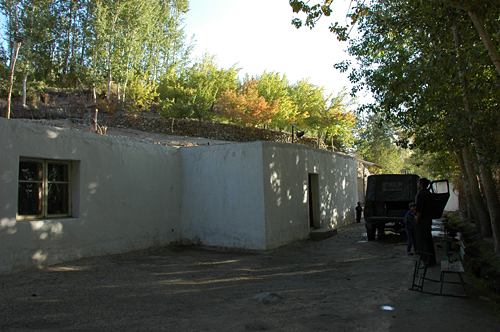 The Tajik side of the boarder had no permanent structures at all, only a few shipping containers, one of which was painted in a warped children’s impersonation of camouflage. Guards took our passports inside and we soon had a bright red Tajik entrance stamp in our passports. At the next container a man took our passports and grunted when we admitted to speaking no Russian and no Tajik. He let us go, no questions asked and we piled into a minibus to the closest town, Penjakent. Our driver had a little TV on the dashboard showing music videos. He told me that he got it in Uzbekistan for $70. I can’t imagine a Tajik minibus driver having $70 to spare. All of a sudden we were negotiating with the driver of a car for the ride to Dushanbe. It was getting late and we wanted to get to Dushanbe before dark if possible but I knew the ride was anywhere between 8 and 12 hours. I stuck with $25 each and the driver came down quickly. The only problem was that the car was full of blankets! They told us there would be four passengers but I didn’t see how we would all fit with a back seat piled to the ceiling with blankets. We pulled away and drove to the driver’s house back in town where he let half of the blankets and we both used his surprisingly clean squat toilet. The driver kissed a baby goodbye (I assume his kid) and we set off with only two passengers. We didn’t stop for about 30 minutes and were almost thinking that we were going to have the car to ourselves. Of course not! We pulled into a tiny village, passing women walking along covered with long white scarves on their heads. The driver must have had these passengers arranged in advance and after the entire family and the neighbors came out to say a prayer at the car we were ready to go. The ride to Dushanbe was long but incredibly beautiful. We didn’t realize that the mountains would be so high in the West of the country. The other two passengers thought we were a bit silly for taking so many photos but they also seemed a bit proud of their country and pointed out some of the more beautiful views. We had to stop every once in a while, once for a flat tire and then quite a few times to tighten everything up. The little car did remarkably well on the mountain roads but driving that high up was pretty scary at times. We were dropped off at the edge of town, like usual and were shocked at the asking price of the taxi drivers. 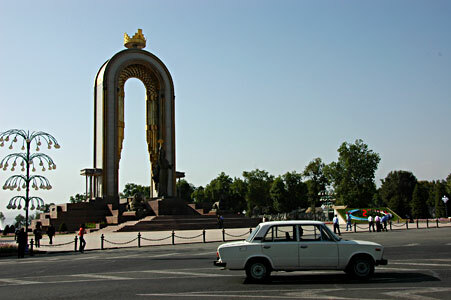 We later found out that taxis are expensive in Dushanbe and we got a pretty good deal for $2 to the other side of town. 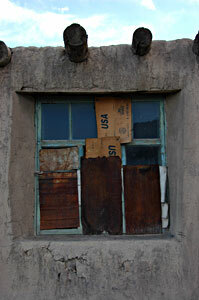 I was pretty grumpy when we arrived at Hotel Dushanbe and were told there were no $10 rooms available. The woman at the desk suggested we try a $50 room, but we stood there long enough in disbelief that she gave in and sent us walking up to the 4th floor with two $10 rooms. Like in Soviet times, a woman sits at the end of each floor and holds all of the keys. When you leave you must leave your key with the floor lady. They are a bit confused by us and said we sleep too much because we weren’t up at 7am like the other guests. 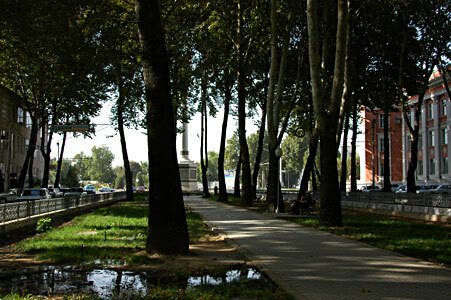 The reality is, there’s not much to do in Dushanbe. I spent my entire first day in the city looking for the Kyrgyz Embassy and then waiting for the consular to come back from lunch and then back from the airport. The Lonely Planet Guidebook’s coverage of Tajikistan is spotty and although the Kyrgyz Embassy moved 5 years ago it is still in the wrong location on the map. I walked around for two hours before finding the Uzbek Embassy who’s guards told me there was no Kyrgyz Embassy. I then went to The US Embassy, which was an empty shell of a building in a residential area. The people in the area confirmed it was The US Embassy even though there was no flag, no sign and no street number. I thought there were pretty paranoid until I realized that it had moved as well. I saw the Swiss flag across the street and ducked in to ask for help. 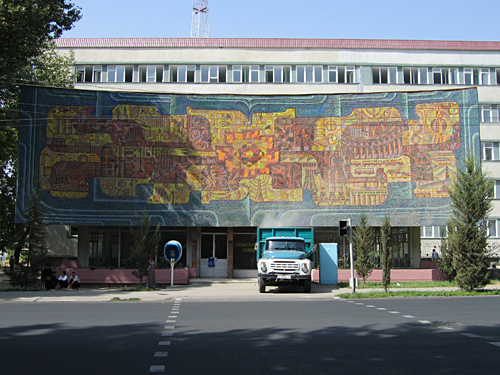 Luckily a man working there knew the Kyrgyz Embassy and drew me a map with a few other people translating into English. While I was there I picked up am amazing map of The Pamirs (the only one apparently) so i killed two birds with one stone. When I finally arrived at the Kyrgyz Embassy I was told they were at lunch and to come back in two hours. I went to eat and make some photocopies before coming back at 3pm when I was told that the consular was at the airport. I sat outside with two Iranian men who had been rejected 10 days in a row. We talked a bit about Kyrgyzstan until they were finally let in, only to be rejected again. When it was my turn the young doorman asked me why I was alone. I explained that my friends either don’t like to travel or can’t save the money or time. As we walked up the steps into the Embassy he looked over and said “don’t worry, I’m here.” The consular spoke a bit of English and allowed me to fill in the paperwork in his office. I’ve heard it would take two days to get the visa but he looked over at me, sighed and said “express service!” while grabbing his stamps and scribbling out a visa for me on the spot. I think I was asking too many questions and he just wanted to get rid of me. That same evening I was also able to contact the local man who was arranging my GBAO Permit. Everyone needs a permit to travel in the Easter area of the country and I had applied two weeks prior via email with Stan Tours who had also arranged my Uzbek LOI. With the permit and visa in hand I was as good as ready to go. The only problem was that Vincent thought it might be faster to get the GBAO in Dushanbe and that wasn’t the case. Having a travel partner for The Pamirs is worth the wait though and I told him I’d stick it out until he got his permit and we could travel together. Soon Daniel, an Australian guy on a very similar trip to my own, turned up and we had a group of three. I spent my time in Dushanbe going to a rather overrated museum (the biggest Buddha in Central Asia isn’t so impressive) and managing to find something somewhat resembling postcards. When I mailed them today I had to argue with the woman for 5 minutes until she accepted them as postcards. They were more like photos printed on cardboard, but it’s the closest thing to postcard available here! Considering it only cost $2 to send 9 cards I figure it’s worth the gamble to see if they show up in a month or two. I also finally met up with a Canadian guy who lives here and has been emailing me advice for the past 6 months. 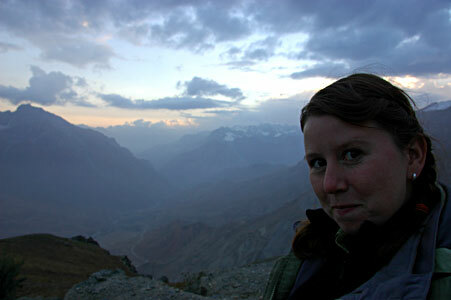 It’s always funny to meet someone you’ve only emailed with, especially when you meet somewhere like Tajikistan. My Pamir partners and I met up with him and his girlfriend at an Ecuadorian place which I think has the best food with the biggest portions in Dushanbe. I ate mostly Mexican and even had an okay piece of chocolate cake. Vincent’s permit should be arriving any day now and Daniel’s already set off for Khorog, where our trip along the amazingly remote Pamir Highway will begin. I will definitely be out of contact until I pass through The Pamirs, through Kyrgyzstan and back into Kashgar, China so hang tight until early October!